One location and three medical clinics! 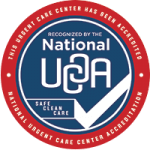 Our Brighton location offers Platte River Medical Clinic as well as Advanced Urgent Care & Occupational Medicine. Enjoy a tour of our primary care and urgent care facilities. Enjoy our guided tour, as Jaimyn Taylor highlights the clinic, resources and services this medical facility offers.